Honduras Rosewood, presently grown in Belize, South America, previously British Honduras. A very distinctive grain with a straight to slightly wavy and interlocking pattern. Wood ranges in color from pinkish-brown to brownish black. This Rosewood is denser than Brazilian rosewood and more difficult to work with. 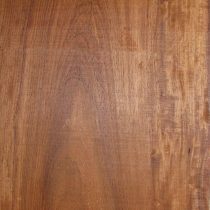 This is a more specialty hardwood that is often used in fine furniture, musical instruments, cabinetmaking and accents. Comes in smaller pieces and limited in stock. This species typically runs narrower than some of our other species with average widths between 3-1/2″ and 5″ wide.